Did you go down to the jungle show? There are so many faces that I am sure you would know. With jiving jaguars and a dancing hippo, a funny giraffe and many more lovable jungle characters, the “Jungle Show” is a fun rhyming story with vibrant and lively illustrations to entertain young children again and again. 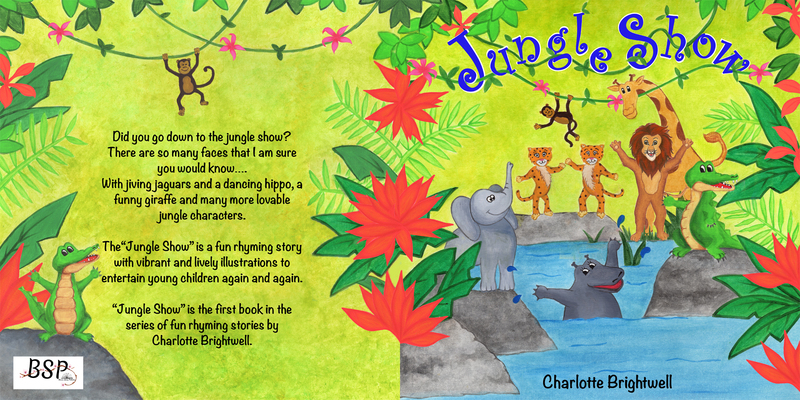 “Jungle Show” is the first book in the series of fun rhyming stories by Charlotte Brightwell. What’s going on on Facebook….